GWR "Manor" Class 4-6-0 No. 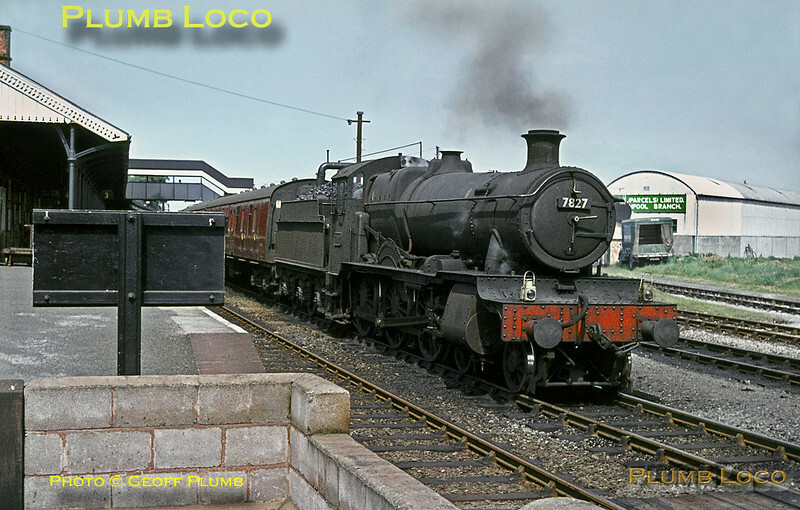 7827 "Lydham Manor" takes water at Welshpool station with the down "Cambrian Coast Express", though it is not carrying the headboard. The train is en route from London Paddington to Aberystwyth and Pwllheli, 7827 has brought the train from Shrewsbury and worked as far as Machynlleth, where the train divided. Monday 27th July 1964. Slide No. 841.